Comedy is harder than it looks. A lot of folks think that when a serious actor does a comedy its because they want an easy time. But that’s not true, because while improv and riffing results in a few decent gags, the best comedies tend to be the ones meticulously written and thought out. Timing is everything, and there’s a brilliant precision at work in most great comedies to assure they get the biggest laughs possible. Of course, there are exceptions and this is one. 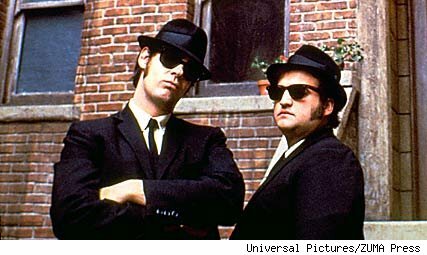 The Blues Brothers is many things as a film, but precise and disciplined are not two of those, as the whole film has this crazy, anarchic feel to it. In places it’s baggy, overdone and even self indulgent, but it powers through on charm, humour and, of course, music. Written by Dan Aykroyd and director John Landis the premise is simple- two musical, criminal brothers must raise money to save their old orphanage. To do so they put their band back together and perform a big show. But then a bunch of stuff is thrown in and the brothers are pursued by various people they’ve annoyed- the police, a psychotic ex, neo-Nazis and a country band. Cue tons of over the top car chases where cop cars fly across the screen, piling up all over Illinois. 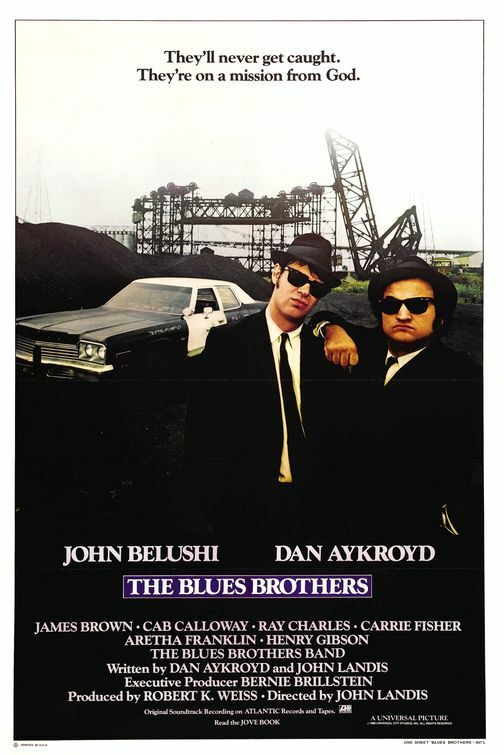 It should feel aimless and stupid, but pulling it through are two wonderfully deadpan performances by Dan Aykroyd and John Belushi as Elwood and Jake Blues. The characters were born out of SNL sketches and the movie works well as a series of “bits”- the blues band having to perform at a rowdy country bar, causing a scene at the posh restaurant an ex-band member works at (including the memorable, but never appropriate quote “How much for the little girl?”), the brothers commenting on the mall as they speed through chased by police etc. Among my favourites is the brothers’ visit to “the Penguin” the mother superior of the orphanage they were raised in, played with stone faced toughness by Kathleen Freeman, it’s a hilarious scene as she scolds the two grown men, thwacking them with a wooden ruler when they swear, which only provokes more expletives. It might be where my fear of nuns began. Aykroyd and Belushi work brilliantly off each other, bickering like real brothers and remaining deadpan as explosions, car chases and general madness ensues around them. Belushi in particular is sensational, especially in moments like his stone faced performance of the theme song of Rawhide, where he stands stock still before crossing the stage to pick up a bullwhip to crack for the finale. The dark glasses help them and provide the film’s iconic look, but they’re still fantastic performances. But the movie’s real strength is the music. John Landis would go on to direct “Thriller” probably the greatest music video of all time, and he shows his chops here with fantastic choreographed pieces to “Think”, “Shake A Tail Feather” and “Minnie The Moocher”. The Blues Brothers band might not be the best actors, but they play wonderfully and convince as an infectious, fun live lounge and a string of cameos from music greats ensure that there are some belters on the soundtrack. 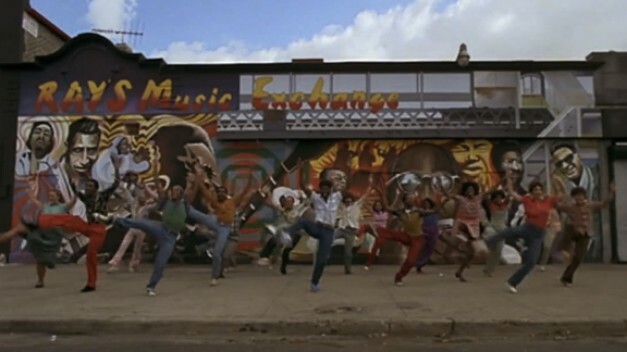 In the end its the film’s crazy excess that make it stand out as one of the coolest, most bizarre movie musicals. Its easy to see why the movie has built up a cult following and its a movie that for me never fails to make me smile and want to shake a tail feather.